Posted by americanex in Library&librarians. The Department of Foreign Literature has a new, smiling face – Anya! Anya is our new librarian. You will find her working in the Foreign Literature Department, which also houses Window on America. Anya recently graduated from the Ukraine State University where she studied English and Ukrainian languages. When she is not working, Anya likes to read, spend time with her family and friends, work on the computer, listen to music and watch interesting movies. 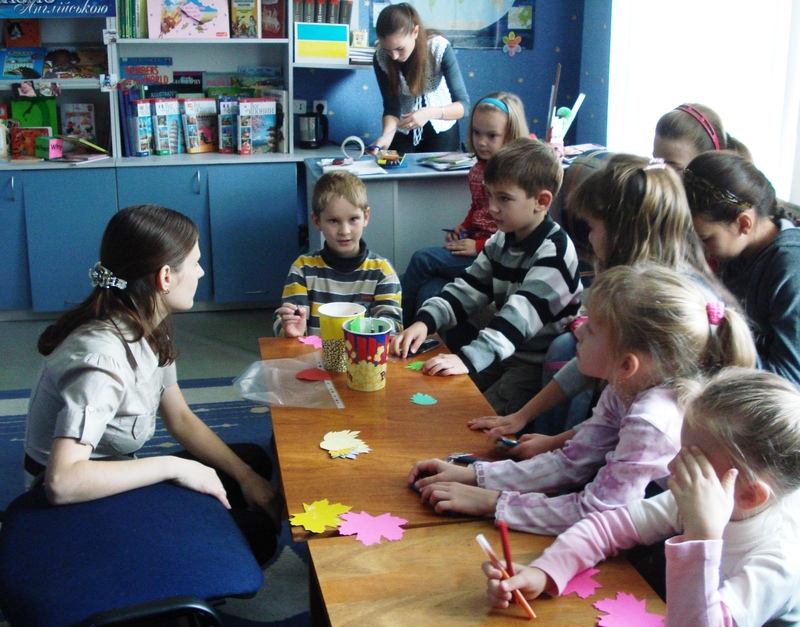 Come and say hello to Anya and see what is new in the Kherson Oblast Children’s Library.